Adrain “Sonny” Foster began his umpiring quest 20 years ago in DeKalb, Illinois under the tutelage of Jeff Myles from the DeKalb Park District. At that time, little did he know that his desire to earn a little extra cash would guide him toward the highest level of softball umpiring. 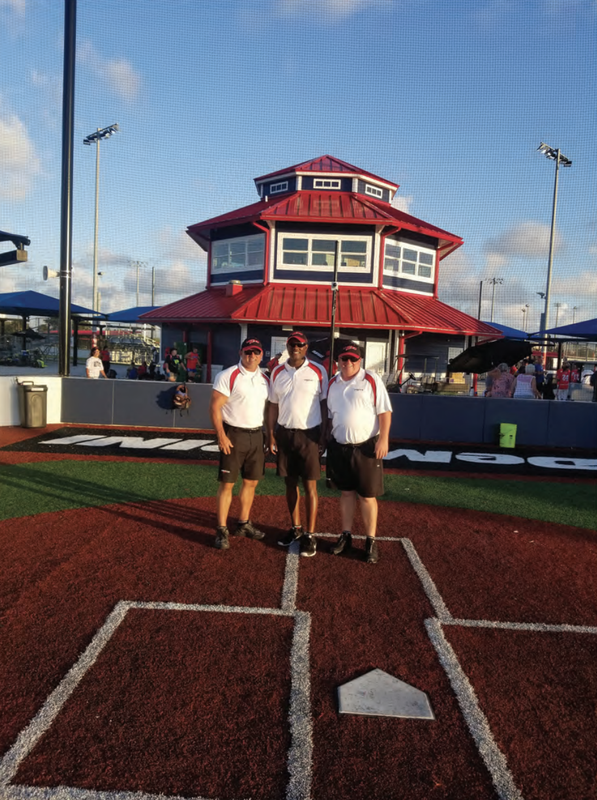 A relocation to Joliet a few years later provided numerous opportunities for him to learn from veteran umpires that helped him earn Illinois USSSA Umpire of the Year honors in 2005. This honor provided him confidence to conduct umpire clinics for new umpires in the USSSA organization. Foster’s umpiring expertise allowed him to be assigned to both Men’s and Women’s State and National level tournaments at numerous different locations. In 2007, he reached the umpiring mountain top when he was assigned to officiate in his first World Series in Orlando, Florida. In 2013, he was honored by being assigned the home plate duties in the Women’s Class B Championship game. Since that time, Foster has become a fixture at World Tournament play in Orlando, and this year at the new 15-field USSSA Space Coast Stadium Complex at Viera, Florida. It seems that he has made more trips to Disney World than Mickey Mouse, as his long journey from Urbana, Arkansas to umpire a sport he knew little about. Just because he wanted to earn a few extra bucks, Foster has found something worth a whole lot more in friendships, enjoyment and success. We add recognition to his resume as he enters the Illinois USSSA Hall of Fame for a job well done.